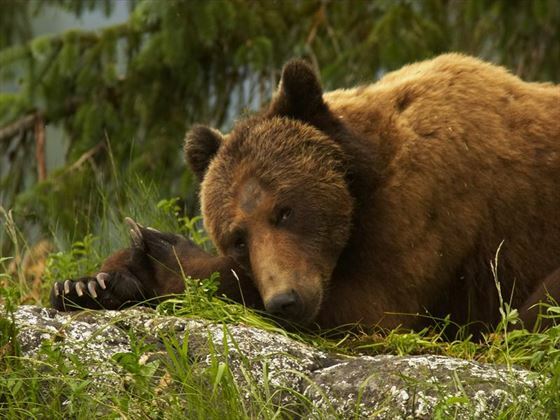 You'll start with a night or more in Vancouver, then fly up to Campbell River on Vancouver Island. 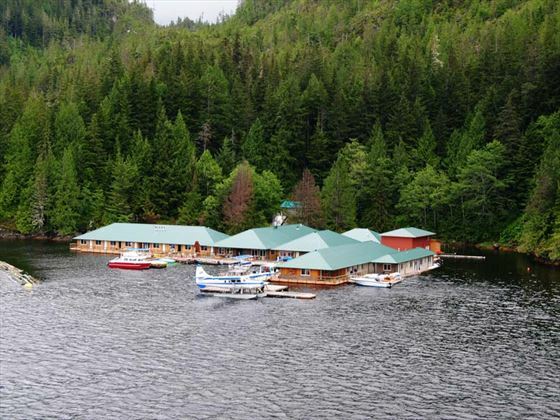 After overnighting here, you will enjoy the archetypal Canadian experience of a floatplane flight up to Knight Inlet Lodge. Over the next three days you will have a fantastic variety of outdoor activities, ensuring that you get the most from your wilderness adventure. Travel inspiration: We visit this rugged wilderness off the coast of mainland British Columbia and discover plenty to excite outdoorsy types. Arrive into Vancouver and transfer independently to your hotel. 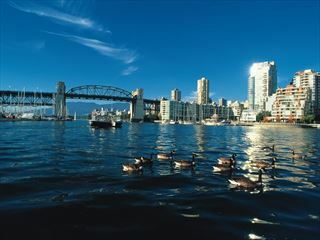 You might like to extend your holiday with a few more days in Vancouver to enjoy this fabulous city. 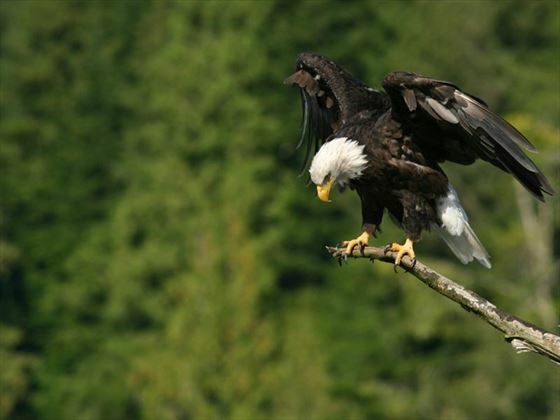 This morning you will fly from Vancouver (South Terminal) up to Campbell River on Vancouver Island to begin your wildlife adventure. The flight is approximately 60 minutes over beautiful British Columbia.The rest of the day is at your leisure in this charming coastal town. 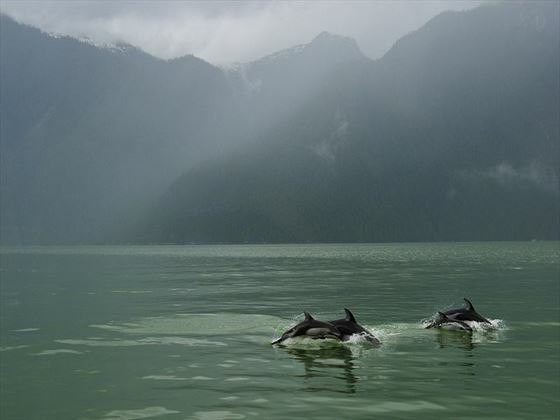 After an 08.30 transfer from your hotel to the floatplane base, you will depart at 09.30 on the short flight to Knight Inlet Lodge. Once settled in at the comfortable lodge, and following a brief orientation, you will embark on a small boat excursion in the estuary. 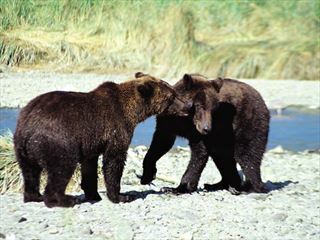 Two tours or 2-hours each follow in the afternoon; one of these tours is a bear viewing tour (by boat in the spring and on a viewing platform from late August to October), and the other will be a Knight Inlet sightseeing cruise. You will be accompanied on all excursions by a knowledgeable guide trained in the local wildlife and natural history of the area. In the evening relax in the lounge while enjoying an interpretive presentation by one of the guides. 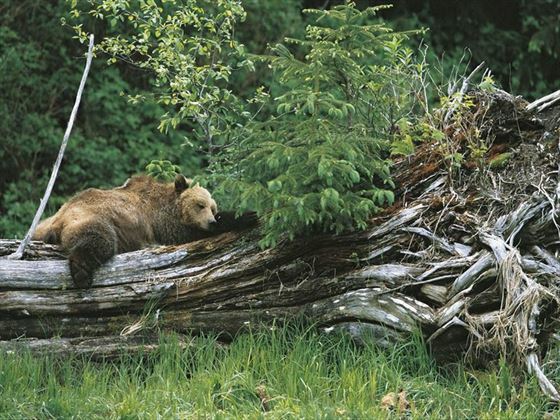 After breakfast you will have one final opportunity to participate in a bear viewing boat excursion before your 10:00 return transfer to Campbell River by floatplane. On arrival in Vancouver transfer independently to your hotel for the next 2 nights. 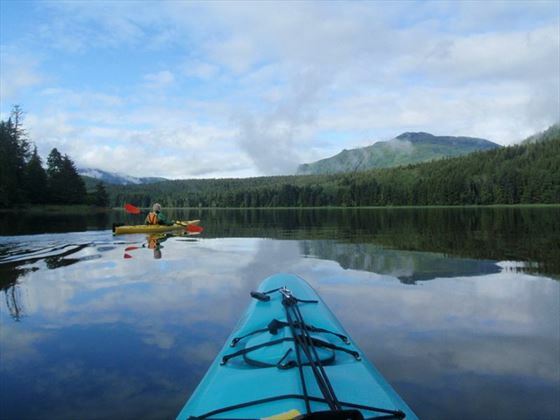 You can enjoy the morning to explore Vancouver before your evening flight home. 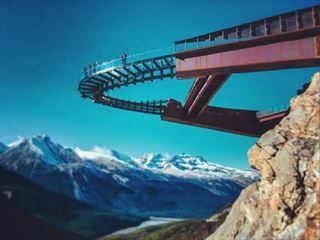 Alternatively extend your holiday with a few more nights in this vibrant city or perhaps add on a few nights in Victoria - the charming capital of British Columbia located on Vancouver Island reached by a picturesque ferry ride. 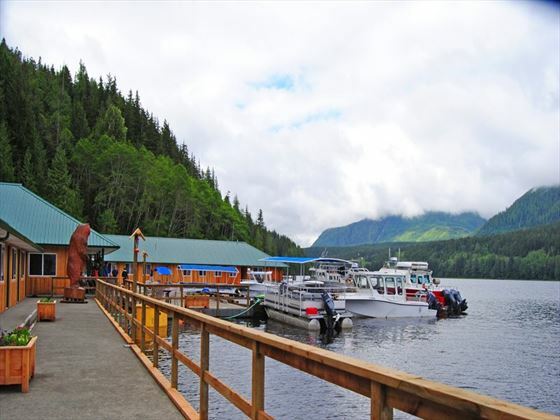 Return floatplane transfer from Campbell River floatplane base to the Knight Inlet Lodge (check-in at 9:00, return flight arrives in Campbell River at 11:00). 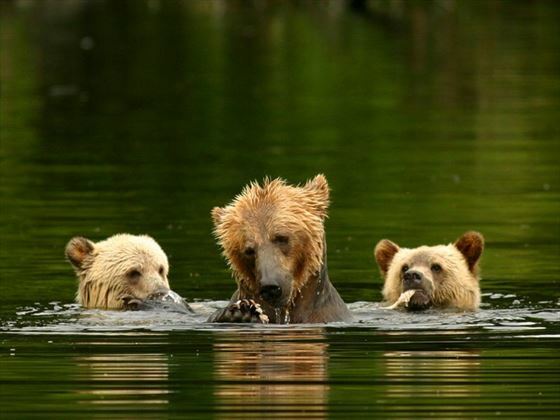 All transportation to the bear watching platforms (in the spring and summer, viewing is done from boats). 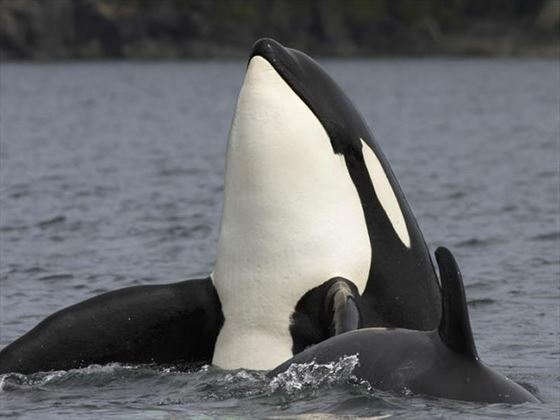 Accommodation for 1 night at the Comfort Inn & Suites in a Deluxe Room with breakfast in Campbell River and 3 nights at Knight Inlet Lodge (deluxe room with private bathroom and shower). Alcoholic beverages unless otherwise specified. 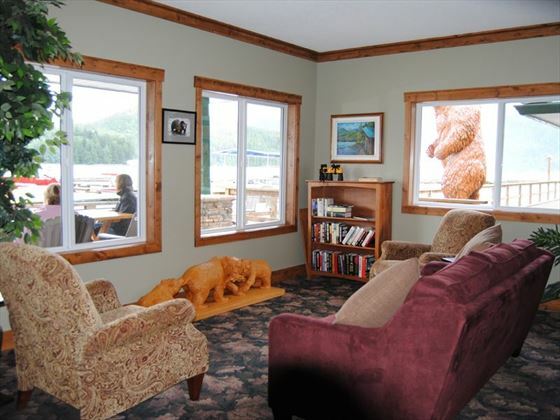 The Knight Inlet Lodge rooms do not have telephone or television. A public phone is available. Guests are allowed one 17kg bag and a small carry-on. Excess luggage can be stored at the floatplane terminal at no charge. All outdoor experiences will be enjoyed in teams of maximum 8 guests so that the true magnificence of the Inlet is experienced. Groups will be formed on arrival at the lodge. 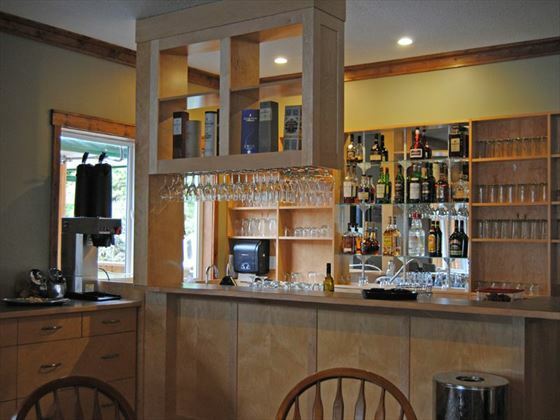 The lodge can accommodate 26 guests at one time.